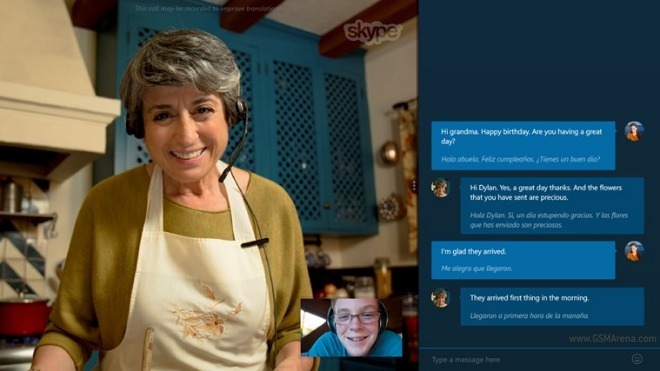 Skype Translator is the Sci-Fi-like bit of software that translates what you say into another language in near real-time. For spoken languages, it currently works with English, Spanish, Italian, and Mandarin. So you could be talking to someone in English, while that person would hear a Spanish translation of what you’ve just said – alongside a collapsible transcript window. The app can also translate Skype’s text-based instant messages, and in this case it works with no less than 50 languages. With IM, you write your message in one language, and the recipient gets it in her or his language.